Cut the butter into cubes and allow it to soften at room temperature. 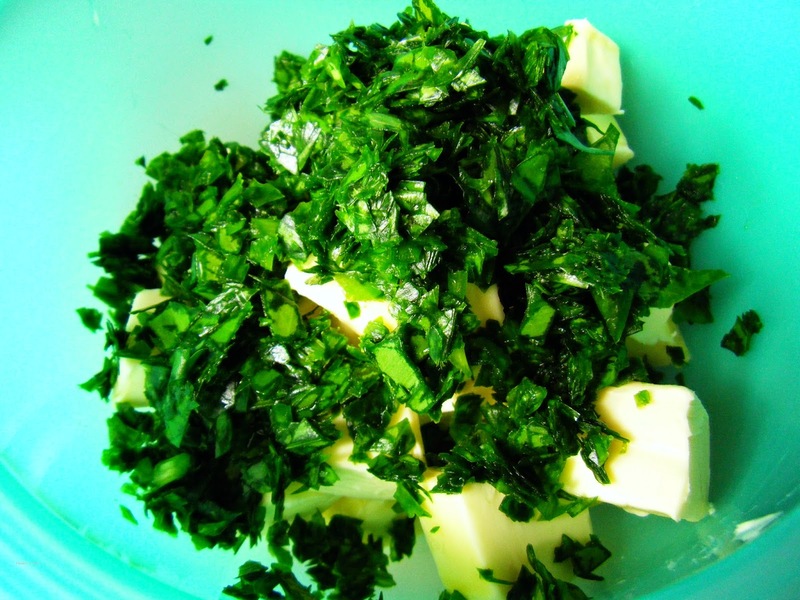 Wash the wild garlic and pat it dry as excess water will make the butter watery. Roughly dice the wild garlic leaves. Using the back of a metal spoon combine the butter and garlic leaves. 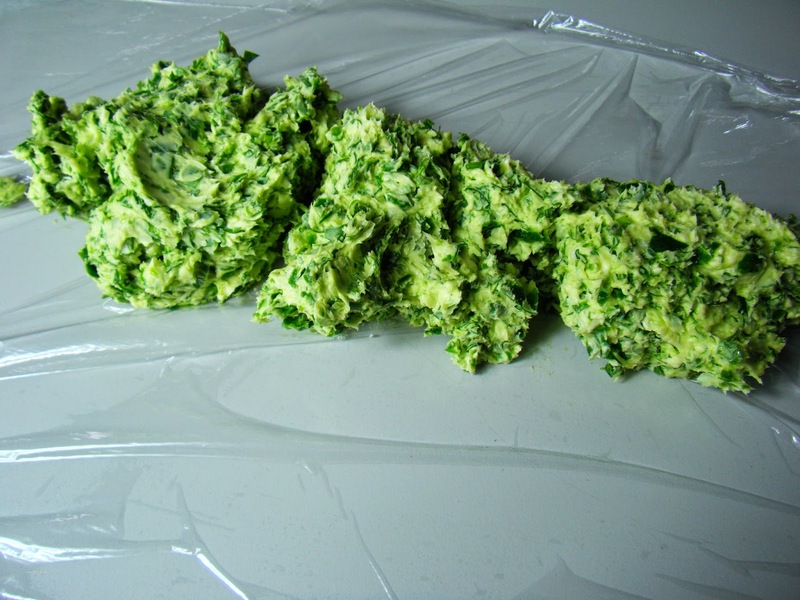 Continue mixing until the wild garlic is evenly distributed through the butter. Lay a piece of cling film out on to your work surface around 40cm in length and spoon the butter across the centre of the sheet. 1. Pull one side of the cling film over onto the other. 2. Use you hands to squeeze the butter into a long sausage shape. 3. Roll the cling film wrapped butter sausage with the palms of your hands. In the same way you would use a rolling pin. The result will be and even cylindrical roll of butter. 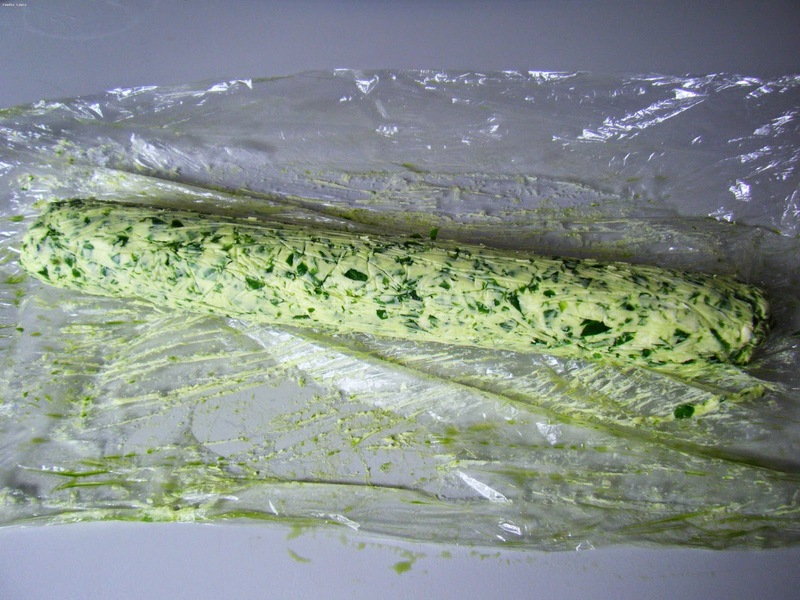 Wrap the ends of the cling film and refrigerate for two hours until the butter sets. 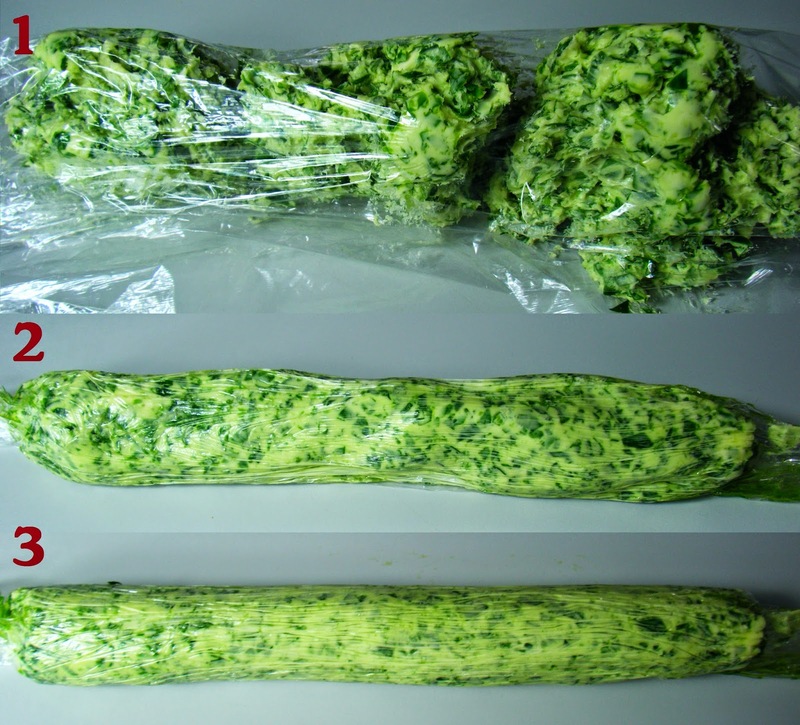 After it is chilled unroll the wild garlic butter log and cut it into slices around 2cm thick. If the butter crumbles, dip your knife in hot water to help it glide through the butter. 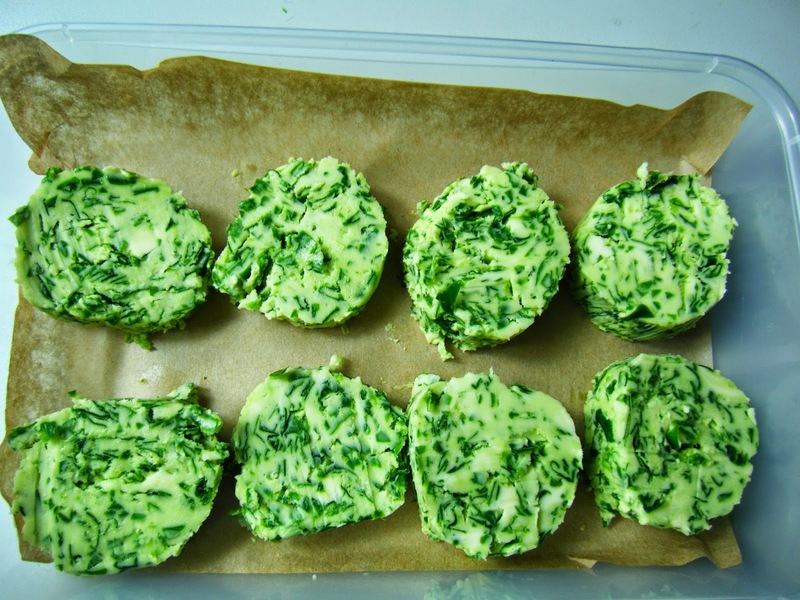 The wild garlic rounds should be stored in an air tight container. Even in an air tight container I find that the wild garlic butter can be quite pungent in the fridge. I like to layer my butter on baking parchment and freeze it. I can then easily take out a knob of butter when I'm cooking. 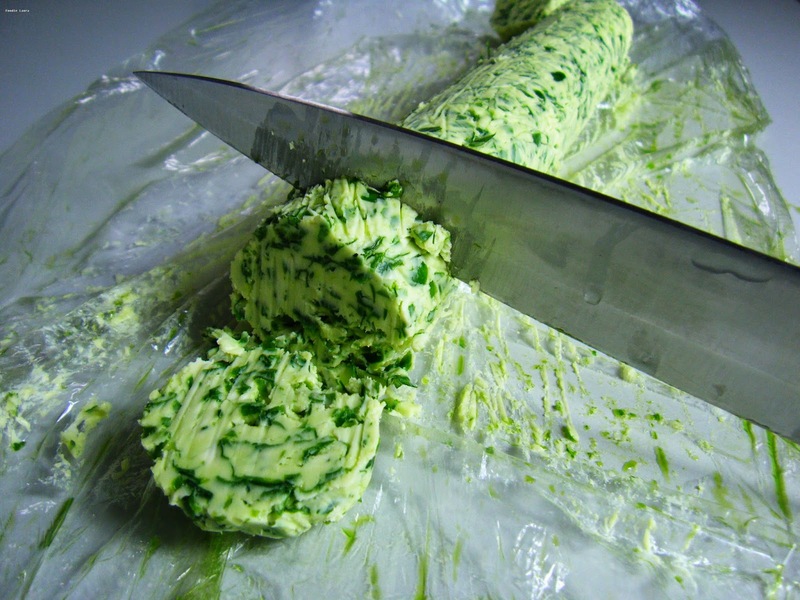 Add the wild garlic butter in place of regular butter to any of your recipes for a garlicy twist. Or add it to mashed potatoes for garlic mash, toasted baguettes for garlic bread or rub it into a joint of roast meat for a crispy finish. 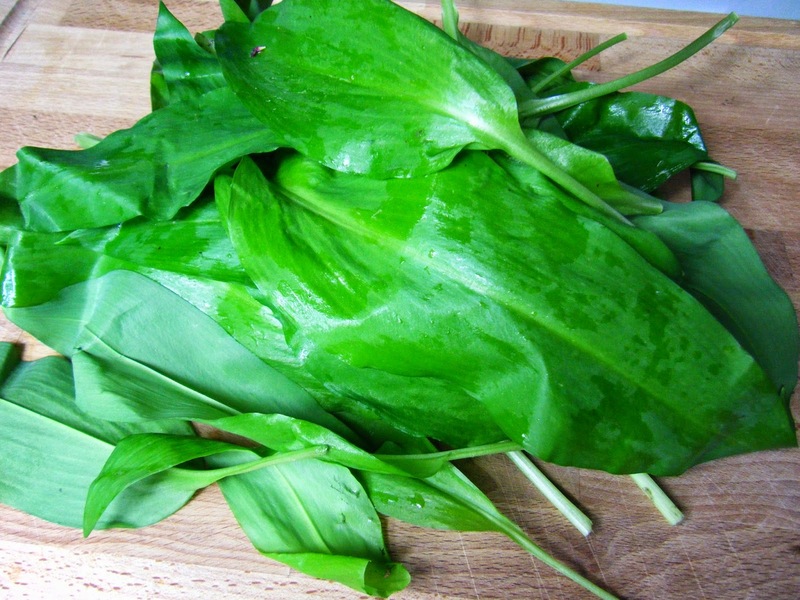 Do you have a recipe for wild garlic? Or a recipe that includes foraged food? Don't forget to share it on my Nature's Lunchbox challenge.